The year 2013 was a milestone for me with lots of life changes. As I step deep into my 30s now, I thought it might be interesting to take a look back at my 20s. If I could go back and give my 22-year-old self some sage money advice (I was just out of college and starting graduate school in a new country), what would it be? Over the years, I have made several statements that started with “I wish I had…” I have tried to recover from them, but I still wish I had never done them in the first place. If you are in your 20s (or even 30s), here are some money mistakes to avoid. Not contributing to your retirement: This was the most damaging mistake for me. I still haven’t recovered from it. I was earning minimum wage while in graduate school and could have socked my savings away in a Roth IRA. At the very least, I could have started saving for retirement when I started my first job. I thought retirement was too far away and I should be saving for some immediate needs like getting a car. The end result — I didn’t save for retirement or a car or anything else. I just spent my entire salary. This mistake alone cost me more than $100, 000. Buying more car than you can afford: My husband and I bought over $50, 000 worth of cars. We both bought new cars. (We were afraid we would end up with a lemon.) Adding in the insurance for new cars and the interest rate for the car loan, it was over $70, 000 down the drain. The only consolation is, we sold one of those and are planning to drive the other one into the ground. Not starting an emergency fund: This was the excuse I used not to start contributing to my retirement, but I never ended up starting an emergency fund either. Every single month, I would always end up with one big expense or another and I told myself I would definitely start the next month. I didn’t actually do it until my late 20s. 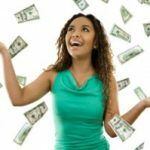 Living on credit cards: Thankfully, I never got deep into debt, but I was always playing a dangerous game by living high on credit cards and emptying any savings I had the previous month to pay for it. Credit cards taught me to live paycheck to paycheck which I continued to do until my late 20s. Not setting financial goals: I never stopped to think about what I would like to do in five or ten years. Only when we got married and everyone around us began buying a home did we realize that we didn’t have any savings to show for our working years. This mistake cost us more than money. We were not saving anything — even after we started working with a budget — simply because we never set any financial goals for ourselves. Early in our early marriage, we would fight at least once every month about our lack of savings. Trying to keep up with the Joneses: This one was not terribly damaging to us personally because we wised up on this issue pretty quickly. But what I didn’t realize was that I was trying to keep up with my parents. Yes, parents. Somehow I missed the logic that it took them over 30 years to accumulate what they have and I can’t have it all at once. I tried hard and paid the price. Not starting the habit of paying myself first: Thanks to my choice of career, I was well paid. If I had only learned to save first instead of waiting to pay all the bills and then save the rest, I would be well ahead of the curve now. There are some money mistakes I saw my friends do. I am thankful I didn’t make them. But this list would be incomplete if I didn’t include them here. Owing too much in student loans without learning about career prospects: In India, where I grew up, parents play a major part in picking the career for their children. While I don’t agree with that idea in general, it definitely encourages the discussion about the career prospects after graduation long before starting college. One of my friends who went to grad school with me had over $100, 000 of student loans and he majored in English literature with absolutely no idea of what he was going to do with that degree. Going into debt for a wedding: With wedding costs skyrocketing, it makes sense to manage this even carefully. You don’t have to elope to cut costs; there are plenty of ways to have an awesome day for a fraction of the price. Not carrying health insurance: The young feel invincible, but all it takes is one small accident to start the downward spiral of medical bills. A close friend of mine thought she didn’t need insurance, got pregnant and due to some complications now has $89, 000 of medical bills that I hear about every time I talk to her. Now that I am in my early 30s, I hope not to write a list like this one ten years from now. I would like to think I am much more financially savvy now and will think twice before making any big financial decisions. Only time will tell. What were your biggest money mistakes? 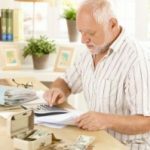 Approaching Retirement With No Savings? Are You Missing the Financial Forest for the Trees? Alex–It would be great if personal finance was required for college students. However, #1 of the second list is why it never will be. It’s stunning how much colleges encourage endless borrowing without any regard for career prospects or the crushing burden of student loan debt. An earlier article titled: “How Something You Might Not Know Costs You Thousands?” had commenters making the absurd claim that NOT having medical insurance was the way to save money. I’m glad the author presents a well rounded list of financial mistakes that young people make — and yes, NOT having medical insurance can turn into a very costly mistake. This is great. A number of my friends would have done well with the added advice of “Don’t be so eager to buy a house.” Even today, so many people claim it’s such “a great investment” with virtually no downside. Like 2008 never even happened. This list definitely applies to those even in their 30s”! Wouldn’t it be nice if personal finance 101 is 1 of the required courses for college students? Great list!. Number one is definitely the most important for building your nest egg for retirement. I’ve been trying to get my kids to understand the power of compounding and starting saving early. I always contributed the maximum into my retirement account. By starting early, you never really miss the money. Using credit cards to fund my lifestyle was the biggest mistake I made and now even after I’ve paid it all off I think how much better my life would be now if I hadn’t had access to credit. Interesting post, I hope youngsters look at this and take notice.